Welcome to the Peake Chrysler Dodge Jeep Ram FIAT Car Financing Department. We have all the auto loan and lease solutions that you need, regardless of whether you live near Sodus, Ontario, Wayne County, or any of the surrounding New York communities. We’re eager to help you with affordable financing solutions! Here at our New York car financing center, we work with all types of credit: good, bad, great, average, terrible, situational, etc. It doesn’t even matter if you’ve had a foreclosure, a default, or a bankruptcy! We’ll come up with a viable plan that’s entirely based on your situation to help you get an auto loan in Sodus, NY. If you’re nervous, we encourage you to read more about our Bad Credit Program. Then, speak with one of our smart finance managers. Over the past two decades, our financial wizards have been establishing relationships with some of the leading lending institutions in Wayne County. This means banks in Sodus, creditors in Ontario, and tons of other entities. Our guys won’t hesitate to leverage one of our 25+ industry connections if it means getting you an even slightly lower APR. When you work with us, you’ll get the value that you deserve. In addition to formulating new loans and leases, we also collaborate with customers who have existing contracts. If feel like you need to refinance your loan or adjust the term of your contract, just contact us at Peake Chrysler Dodge Jeep Ram FIAT today. We’ll do everything we can to ease your financial burden. Furthermore, we’ve created an extensive library of online shopping tools and miscellaneous financial resources so that you can get started towards your next Chrysler, Dodge, Jeep, Ram, or FIAT right away. 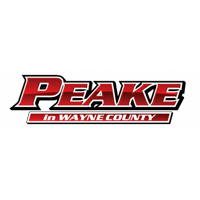 It’s simply another way that the team at our Peake finance center attempts to make your life easier. Finance Application: If you fill out an application to get pre-approved for financing, you’ll save yourself plenty of time and paperwork down the road. It’s a very worthwhile investment. Trade-In Evaluator: You can determine the value of your current vehicle towards your next one. Payment Estimator: You can also calculate your payments, then factor them into your budget. Buying vs. Leasing: Check out this helpful guide to figure out which is better for you: buying or leasing. They both have their advantages and disadvantages, so you should do your research! Specials & Incentives: There are so many ways to save money at our financing department. These allow you to turn an already great deal into a once-in-a-lifetime opportunity.